Walk cautiously in the snow! An even better idea: Stay indoors. Montreal winters bring challenges when it comes to walking outside. We are aware of many environmental hazards in the home and can take preventive action against falling. This task is more difficult with the unpredictable condition of Montreal sidewalks. Cataracts and glaucoma can alter the vision of older people, making them less aware of risks on their walking paths, be it icy patches or the depth of a mound of snow. Bending over to study the path where they are walking increases the chance of a fall. Changes in posture from osteoporosis and medications affect balance and mental alertness. So how do the elderly prevent falls in Montreal’s winter wonderland? Better muscle tone and flexibility—achieved through regular exercise—may help. 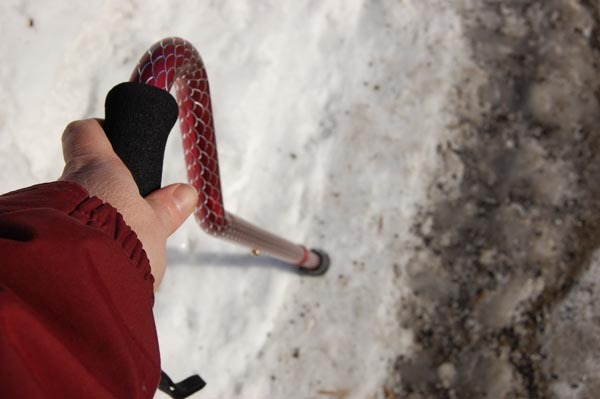 A cane with a winter ice grip is recommended. Boots should be sturdy and have proper winter soles. Unless the sidewalks are clear and dry, elderly people should try to avoid outdoor walking. Groceries can be ordered in, and many restaurants deliver. Catch up on reading, knitting, baking or just curl up and watching a good movie on TV. If going out with family or friends, seniors should be picked up and be helped to the car. Accept that certain errands can wait. While seniors prefer to do such activities as banking in person, the phone bill does not have to be paid on a snowy day. Appointments can be changed. Invite the grandchildren over for a visit—they love to play in the snow and won’t break brittle bones if the slip on an icy patch. Understand the risk of a fall. Broken bones are painful; some will require hospitalization and possibly surgery. A hospital stay could be disorienting to the elderly and those individuals with low resistance could pick up a host of other health issues in the hospital. Montreal can be a beautiful wonderland for photos and gazing out the window. A white Christmas is always welcomed with joy. But fragile seniors have to understand the risk of outdoor walking on bad-weather days. Stubborn seniors who insist on venturing out no matter how threatening the weather is might consider spending the winter months in Florida. 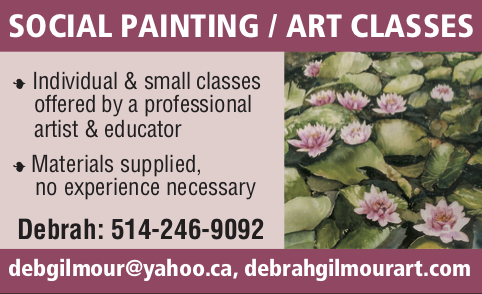 This may be a good idea not just for seniors, stubborn or not, but for those of us who do not treasure Montreal winters. Be the first to comment on "Walking in Montreal’s winter wonderland can be a dangerous proposal"